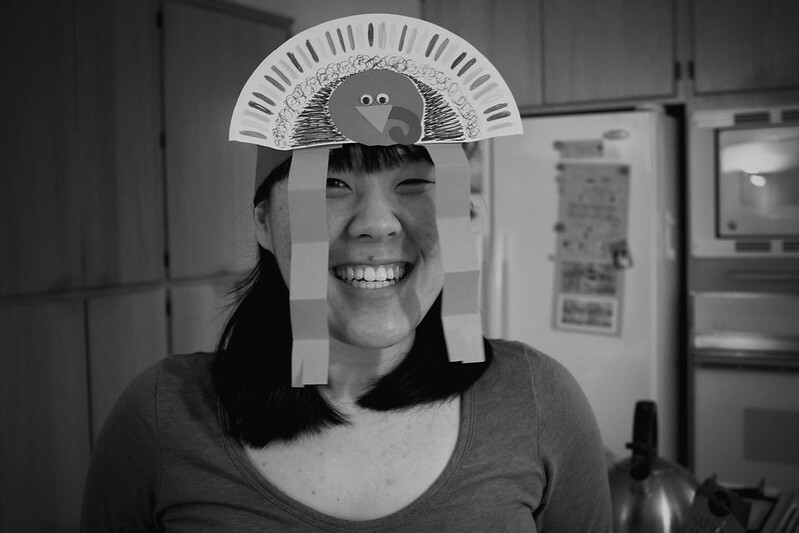 THIRTY DAYS OF THANKFULNESS | WEEK 4.
a photo from last year's preschool craft for Thanksgiving. If this doesn't show that I'm a teacher, I don't know what does. Sooo, I almost typed in "thirsty days of thankfulness" instead of thirty days. Whoops, my bad. That would probably be a very different blog post if that were the title, don't you think? But I digress. I'm so excited to share the last installation of this little blog series/link-up. I'm grateful to not only have completed this series, but to have learned and realized how much I have to be grateful for. And if you ask me, this kind of post will be making an appearance throughout this next year (or beyond) because gratefulness never goes out of style. 11/22 Forgiveness and a clean slate. I take it for granted all too often and I don't ask for it nearly enough, but God's forgiveness and willingness to give me a second chance every day is well, pretty darn amazing. 11/23 Family. It's funny that I saved this one for the last edition of the link-up, but my family is so important to me (you knew that already though, didn't you?). Let's just say they're like my best friends. And they will be forever, too. 11/24 Clutter-free email inboxes. There's something about an empty email inbox that literally takes ten pounds off of the top of my head. A cleaned out inbox = one happy girl. 11/25 Parents and families. To tell you the truth, I was the most scared about having to talk to and with parents when I first started student teaching. But my worries were for nothing. Parents are just as much people as the kids are. Except I still prefer hanging out with kids best. 11/26 Pajamas. We had a pajama day at preschool this week and getting to see every preschooler's Spiderman, polka-dotted, or mix and matched pajamas was the cutest thing ever. I mean, how often can you say that you can wear your pj's to work? 11/27 Long weekends. Don't get me wrong, I looove my job. But sometimes, a break from your job makes you even more grateful for it. 11/28 Thanksgiving. There's no day like Thanksgiving to remind you of all you have to be grateful for. Nor is there any other better day to eat as much food as you'd like without feeling (too) guilty about it. Happy Thanksgiving, friends! Enjoy your holiday, enjoy the people you spend it with, and enjoy some time with the One who we should be most grateful for. Forgiveness and a clean slate. Amen! Haha, I did the same thing today! This long weekend is definitely confusing me, but I'll take all the sleep I can get. :) I did have a great Thanksgiving and I hope you did, too!